At this point if you are here in NYC enjoying NYFW, or if you are following from a distance, you may be tired of all the posts you have seen so I will keep this light and fun! While I have been traveling like a crazy person for the past two weeks - explaining my lack of posts (sorry guys!) - I have had the chance to part take in a few events. 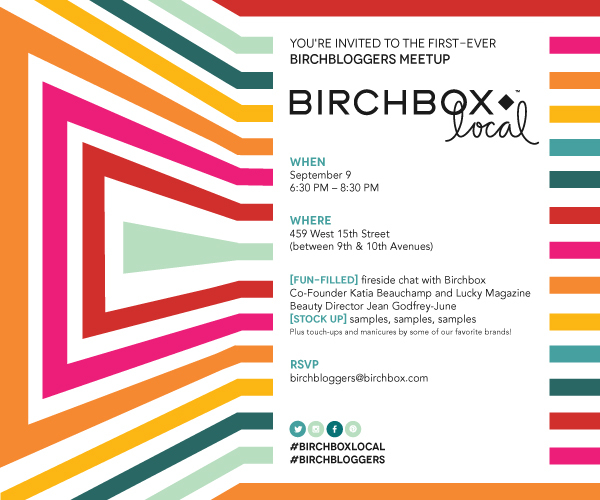 Last night, my lovely friend Lauren and I attended the Birchboxbloggers event in Chelsea Market. Sometimes these events fail to impress, but let me tell you, this was so fun and above my expectations. Instantly upon arriving, we were greeted at the door with help yourself candy options that were as cute as can be. After getting some sweet treats, we moved on through free manicures, hair and make-up. 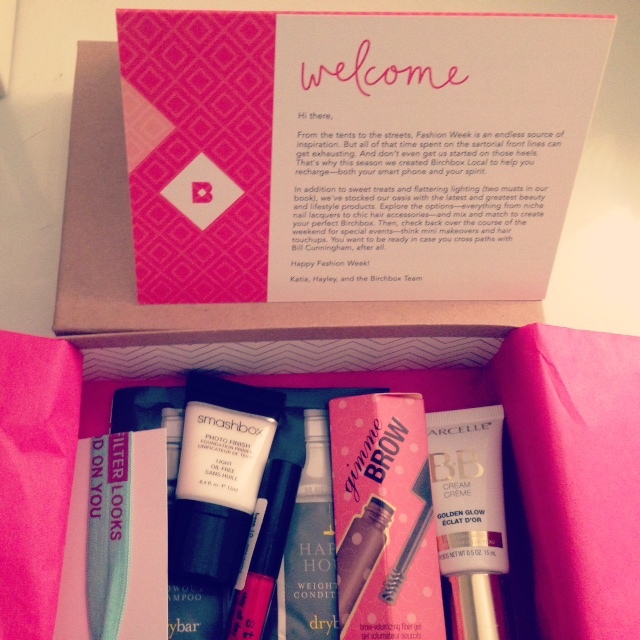 To make things even better, while waiting to fill our very own DIY Birchbox - we were handed glasses of champagne. What else could a girl ask for? 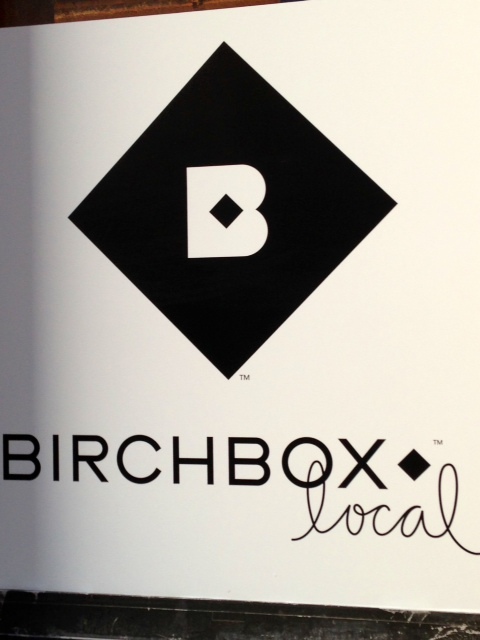 I snapped some pictures of the event and my amazing Birchbox. It was a night to remember. 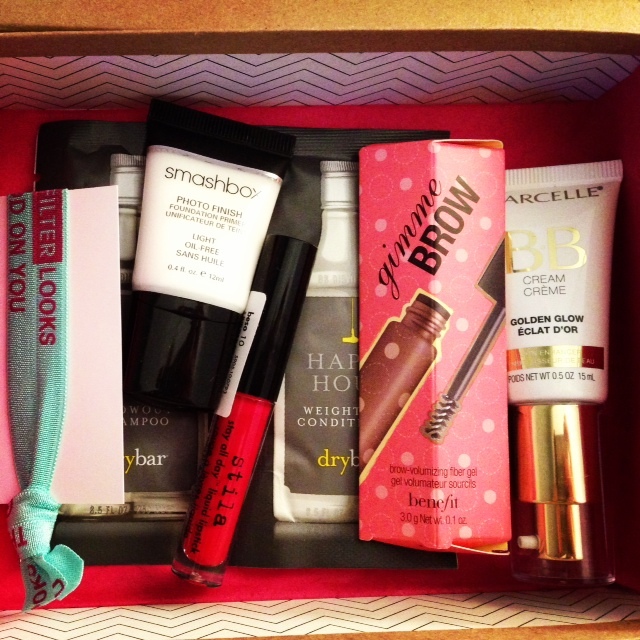 Thanks so much for such a great event Birchbox! Greeting us on the street! 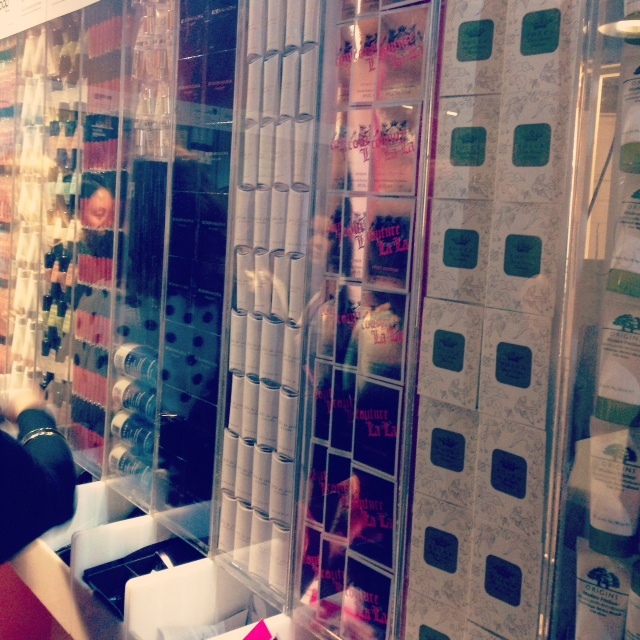 So many amazing samples, hard to choose which ones! 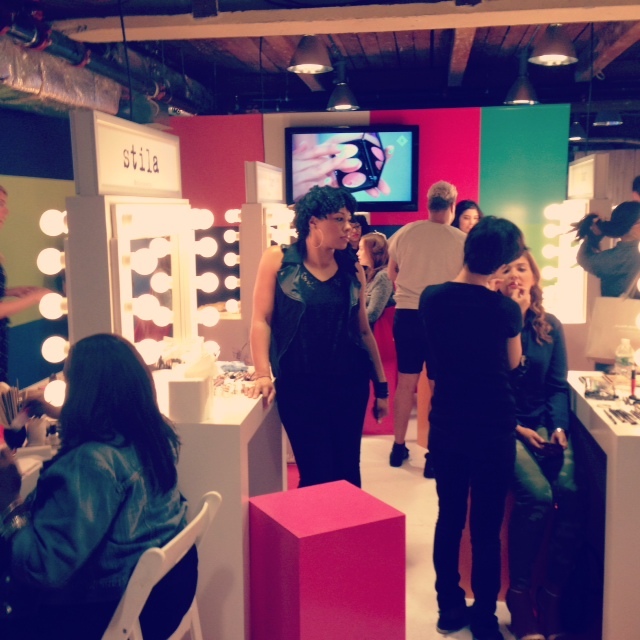 PS - The on-line fashion shows for Tory Burch and Rebecca Minkoff were also so great to be a part of. Make sure to follow me on instagram and twitter for all the up to minute details!